« The right place at the right time. 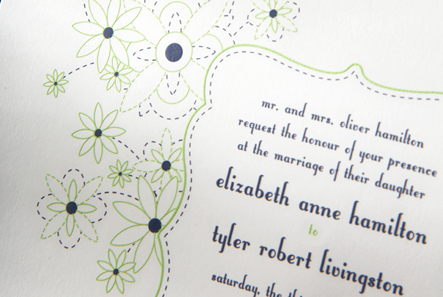 If you are a lover of fine papers and custom invitations like us (and you don’t live under a rock), you have most likely been hearing a lot of buzz about Minted recently. 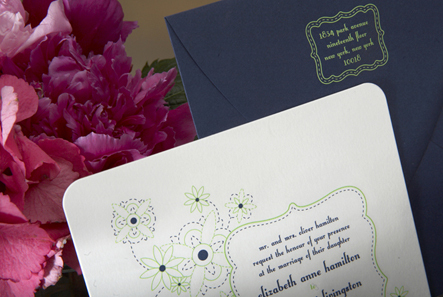 We are thrilled and honored that Louella Press is one of the brands being offered by Minted, among such great company as Egg Press, Mr. Boddington’s Studio, and Wiley Valentine, to name a few. 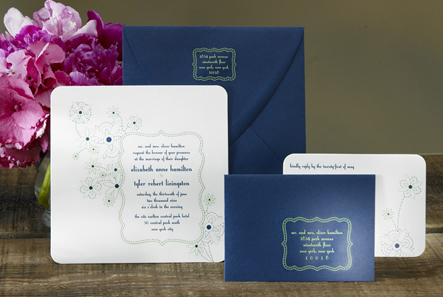 Ordering your dream invitations online has never been so easy! 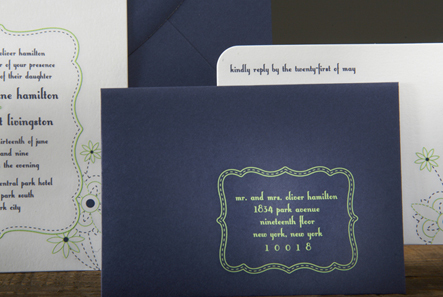 Minted is still growing and getting set up with all of the amazing invitation suites available from its brands, but until then you can call 888.828.MINT to order any Louella invitation your heart desires, including our newest engraved design, Modern Meadow, which is available exclusively through Minted. This entry was posted on August 18, 2008 at 5:12 pm and is filed under Around the studio, Engraving, Friends, Uncategorized. You can follow any responses to this entry through the RSS 2.0 feed. You can leave a response, or trackback from your own site.